The city of Fort Myers, also known as the city of palms, is arguably one of the best cities to settle down in, for both investors as well as the highly skilled professionals who are actually interested in purchasing a business or commercial real estate building where they can work, operate a business in Fort Myers and otherwise enjoy the prosperity of this rapidly expanding city in the very heart of Southwest Florida. Such true blue professionals belonging to different age groups prefer to migrate to this singularly prosperous city so that they can call this place their home and settle down permanently. This is because the city of Fort Myers is just about ‘the’ perfect place for all those people who value the ‘good life,’ irrespective of their ethnic background or age and experience level. From young graduates fresh from college all the way to the elderly looking for a place to invest their hard earned savings while they live though their retirement years, the great city of Fort Myers tends to attract both individuals and families not just from all over the nation, but far beyond as well. This holds especially true for the business community whose members are attracted to this city like honey bees to nectar. And why not? After all, this city is the source of sustenance for the many people who have invested their life in many of the profitable Fort Myers business opportunities. Many of the prospective entrepreneurs in this city have at least one thing in common. If it is not their urgent need for housing and accommodations, then it may be a need to develop a source of income, which is the motivation for the savvy businessman to invest in Fort Myers business opportunities. Before opting to purchase any business for the purpose of building a growing business venture, it would be important to realize just what it is about this city that makes it such awesome place to settle down in once and for all, since the city of Fort Myers is one of the fastest growing cities in Florida, at this point in time. 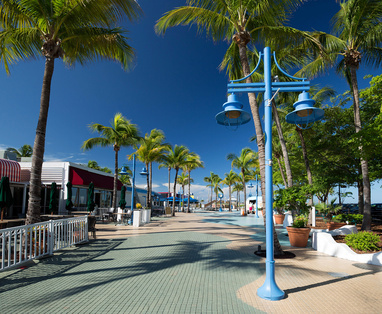 One of the key reasons behind the widespread popularity of this city is its location in Southwest Florida and the fact that it is connected to the rest of the state with a vast rail, road and air network. Furthermore, the current population boom has been ushered in courtesy of the excellent urban infrastructure as well as employment and business opportunities that this city provides to all its residents. Most of these new arrivals are highly skilled and educated personnel who have decided to settle down in Fort Myers due to the myriad employment and investment opportunities they have here. Speaking from the point of view of business opportunities, such a high population growth has increased the value of commercial real estate here by creating a huge demand for new housing and commercial complexes that are now coming up in ever larger numbers in Fort Myers.